People are the heartbeat of an organisation and their digital technology skills and capacity can transform your approach. On this webinar we cover how to assess your existing digital skills and identify gaps and opportunities. We provide insights into how to access training support (including free options) and how to recruit the talent you need to strengthen your organisation. For this webinar we’ll be joined by Heloise Ardley from Group of Humans who will share her expertise in building digital skills and capabilities. Register for your place. Digital technology tools provide a range of opportunities to increase fundraising for your organisation, but it can be difficult to know where to start. This webinar covers and introduction to tools for fundraising, assessing where these can sit in your organisation and how you can grow a steady income from online fundraising including Google grants. James Carlin from Local Giving will join us to share his expertise! Register for your place. We all know cyber security is important but how can charities put in place an appropriate and robust approach? This webinar covers practical steps to making sure you are protecting your organisation online. We will cover the basics to uncover what you can put in place now to keep you safe for the future. As part of the webinar we will introduce a checklist to prioritise your next steps. Lisa Forte from Red Goat Cyber will join us to share her expertise. Register for your place. Digital skills can provide new ways of working, and in a small charity time is short! On this webinar we introduce how simple digital tools can enable productivity across your charity. We will cover tools which can support project management, managing relationships for example customer relationship management (CRM) systems, and tools for collaborative and remote working. We will share some insights and case studies from our work at DOT PROJECT as part of this webinar. Register for your place. 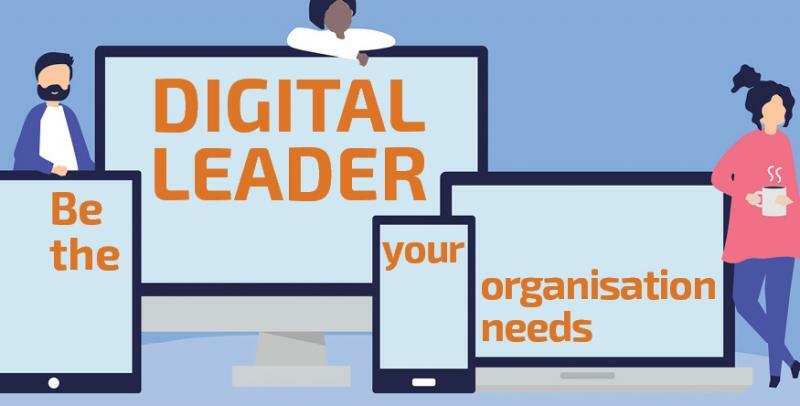 Our Digital Leadership programme is for leaders of voluntary, community and social enterprise organisations in the West of England who want to increase their impact through the use of technology. This is not about becoming a digital expert; it’s about leadership in a digital world. These will run on a Wednesday from 11am - 12pm. The purpose of these sessions is to ask ad-hoc questions or seek specific advice about your digital approach, wherever you are based in Bristol, Bath, North Somerset and South Gloucestershire. These two-day free training workshops will support you to maximise your impact, embed digital content and tools in your organisation, and build stronger relationships with your service users and supporters. A standard allowance for travel costs is available for the workshop. We are keen to ensure you get the most from these activities and we learn from your experience to plan future support. Please complete this pre-programme survey to tell us about your organisation and digital goals. If the dates or locations above do not work for you, please let us know and we will send you further information about receiving support through this programme. Resources from the programme will be published once the workshops have been completed. Participants will be encouraged to join a Digital Leaders peer network to support continued development and innovation after the initial programme has been delivered. The programme is a partnership between the West of England Civil Society Partnership and DOT PROJECT, funded by the Department of Digital, Culture, Media and Sport.